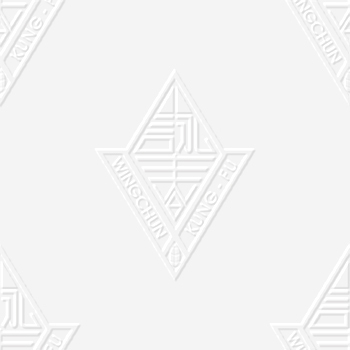 Since establishing Taiwan's first Wing Chun Kung Fu school in 1974, Sifu Lo Man Kam has taught thousands students from 34 countries and territories. Many of these students have gone on to open schools of their own, and further pass on Sifu Lo's unique insights to a new generation of Wing Chun practitioners. The China Lo Man Kam Wing Chun Kung Fu Federation spans the globe, made up of instructors who trace their lineage to Sifu Lo Man Kam. 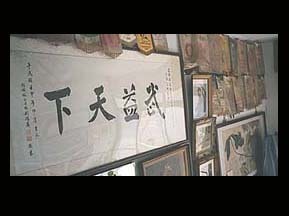 In addition, since the Federation's begining, the Taiwan Government has invited Sifu Lo to participate in the curriculum design and teaching of Chinese martial arts to police and military authorities, thereby improving the effectiveness of their fighting techniques. 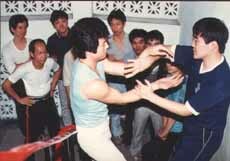 From 1992, Sifu Lo has represented the Federation and the R.O.C. Kuoshu Federation for official visits to various European countries for martial arts exchanges and conferences. Situated 120 miles off the coast of Mainland China, the diamond-shaped island of Taiwan is home to 21 million inhabitants who have helped make it one of the more prosperous industrial areas in the world. 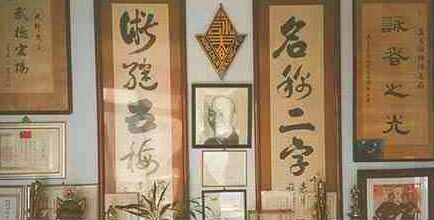 Sifu Lo Man Kam's Wing Chun school lies in a four-story apartment building in the capital city of Taipei, off of Pa Tek Road. Sifu Lo himself lives on the fourth floor of the building, in a three-bedroom apartment that also serves as the office for his school. 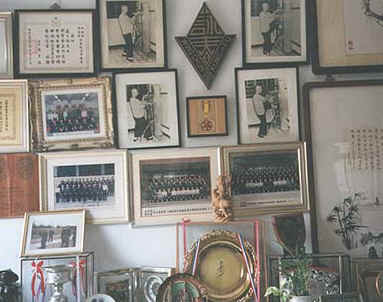 Upon entering the door, you are greeted with the numerous trophies, awards, and photographs (including those of the late Grandmaster Yip Man) that he has accumulated over his many years of teaching. Some students board with Lo Man Kam, and often stay in the extra bedrooms. Going upstairs to the covered rooftop, you come out into a large training space, equipped with several training aids. To your left as you enter the door you see the ubiquitous Wing Chun Wooden Dummy, mounted near the southeast corner of the rooftop. To your immediate left are rectangular sand bags (sha bao) for punching, and several feet beyond that, aging weight-training equipment in the northeast corner (and sifu's dogs, who like to bark, and will occasionally bite). Moving westward along that wall, you enter the punching phalanx-fist sized cardboard targets hanging from chains in a square pattern around the student. In the northeast corner stands a stationary bicycle, and lying at the edge of the wall lie poles of different lengths and diameters. In the middle of the west wall is a spring-arm: a shaft of wood mounted to a heavy spring, resting about 4 feet above and parallel to the ground. One of Sifu Lo's original training devices, the wood of the arm has been worn down as students have for years practiced their hand techniques. Just a little further to the south of that stands a water barrel for practicing palm strikes, and just beyond that, a smaller spring arm. In the southwest corner lies a table and stools. The floor has been marked with several different stance and footwork patterns. 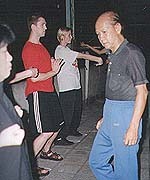 Lo Man Kam's teaching method stresses a solid understanding of the fundamental theories of Wing Chun. Learning the first form can take a month or longer, depending on the student's stance strength, dedication to learning, and his ability to absorb the essential precepts of the art. After he feels that the student has satisfied these requirements, Sifu Lo moves them on shifting horse in pair drills, and gradually on to several essential Wing Chun movements. These movements are integrated into a simple chi sao pattern. Once the student can perform the techniques with the correct power and position, he moves on to free chi sao. From here, the Seniors contribute to much of the instruction, and the student is thrust into a virtual labratory where he must test, use, and expand upon his techniques. Sifu Lo keeps everything under a watchful eye, moving from student to student to offer advice and corrections, making sure that movement from the forms can be applied in chi sao and confirming that the student is developing an understanding of the fighting principles of timing, distance, and position. With his many years of teaching experience, he can help tailor Wing Chun applications to the individual, allowing the student to reach his full potential.